Want to register for events or receive ASHRAE announcements? 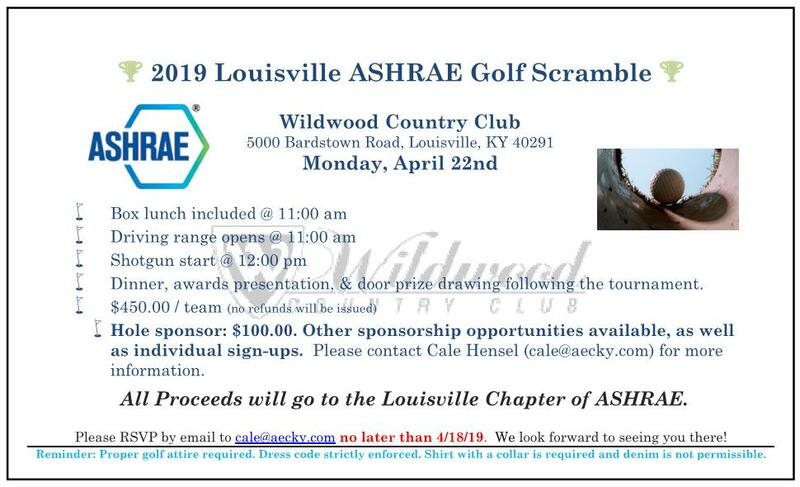 The purpose of the Louisville ASHRAE Chapter is to advance heating, ventilation, air conditioning, and refrigeration to serve humanity and promote a sustainable community through education of our members, promotion of students' interest in HVAC&R engineering and technical fields, raising funds for research, and support of the establishment of engineering standards. ASHRAE, founded in 1894, is an international organization of 55,000 persons. ASHRAE fulfills its mission of advancing heating, ventilation, air conditioning and refrigeration to serve humanity and promote a sustainable world through research, standards writing, publishing and continuing education.